WhatsApp, the Facebook-owned popular messaging platform, on Friday announced that it is launching a test to limit message forwarding to five chats per users in India. This new update will allow WhatsApp users in India to forward a message to only five people at one time. The company also said that it will remove the ‘Quick Forward’ button next to media messages. WhatsApp has over 250 million users in India. WhatsApp has decided to make these changes to curb fake news and rumor mongering on social media. In fact, fake messages circulating on WhatsApp about child abductors have triggered mass beatings this year of more than a dozen people in India, some of whom have died. In the latest attack, a software engineer in Bidar, Karnataka who was mistaken for a child lifter was killed by a mob and three others were seriously injured due to the rumors that were spread on the social media, including WhatsApp. The changes to WhatsApp’s user interface come amidst sharp criticism from India’s Ministry of Electronics and Information Technology. Apparently, just a day before WhatsApp announced the new update, the Ministry of Electronics and Information Technology had sent a second notice letter to the online messaging service threatening legal action. “It is regretted that the enormity of the challenge and the rampant abuse happening in the country leading to repeated commissioning of crimes pursuant to rampant circulation of irresponsible messages in large volumes on their platform have not been addressed adequately by WhatsApp. There is a need for bringing in traceability and accountability when a provocative [or] inflammatory message is detected and a request is made by law enforcement agencies,” the ministry said in a statement. It added that WhatsApp “cannot evade responsibility and accountability” and threatened legal action against the company if it remained “mute spectators” when rumors and fake news are circulated through such modes. The ministry had asked the company to check the spread of fake and provocative content. However, an anonymous WhatsApp source said that the decision to come out with the new test feature was already announced earlier by the company as a measure to curb the spread of false news and rumors of horrifying incidents. The source added that the changes was not directly in response to the notice from the IT ministry. The latest changes were welcomed by technology experts. “This change is going to make it difficult for people to forward messages, it’s going to add a layer of friction to the process,” said Nikhil Pahwa, a co-founder of advocacy group Internet Freedom Foundation. Besides the limit message forwarding feature, WhatsApp has also brought few other changes to its platform to combat the spread of misinformation and curb violence menace in India. 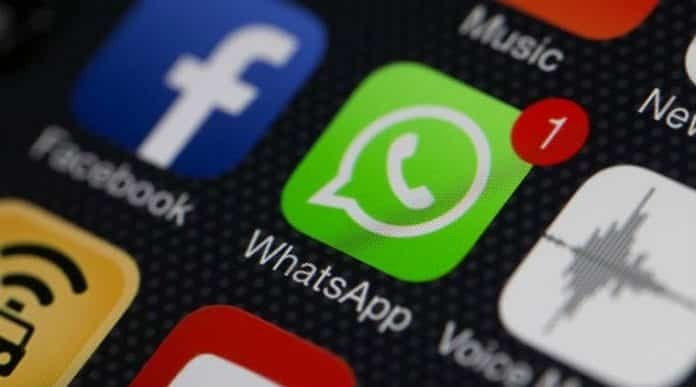 On July 10, WhatsApp launched a new feature where messages forwarded by other users would be labelled as such so as to make it easier for people to understand if the sender wrote it or was it just a forwarded message from others. “WhatsApp will indicate which messages you receive have been forwarded to you. This extra context will help make one-on-one and group chats easier to follow. It also helps you determine if your friend or relative wrote the message they sent or if it originally came from someone else,” WhatsApp had said in a statement. Additionally, WhatsApp last week published advertisements titled “Together We Can Fight False Information” in important Indian newspapers, where it advised Indians to think twice before sharing messages that contain spelling mistakes or they made the reader angry or afraid.